Many people face different problems related to different types of pests. Most of the people suffer from huge problems due to increasing population of pests during Hurricane Season, some of them face the continuous problem of termite’s issue, while most of the people suffer through rodent infestations most of the time. There could possibly some holes, torn sheets of windows, gaps in electric or water supply wiring at different places of your home. These holes and gaps can be the passage for rodents into your place. They can easily come inside through these holes and start infesting your materials. Hence, it is very important to seal all of these crossings and keep the rodents away from your home. You may have huge leaf piles or deep mulch in the garden of your house. This may become the potential nesting site for rodents to live. This will provide an open access to rodents to live inside your place and damage your property. It can easily and severely affect your important assets because of these kinds of mistakes. So make sure that your garden and all the places of your home are free from leaf piles and deep mulch, and regularly remove such kind of materials that encourage rodents to attack over your property. A little mistake can lead you to most of the problems. 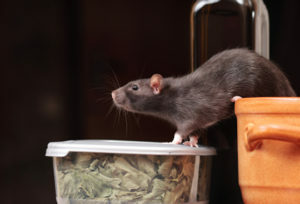 The wastage of food or water, throwing garbage near or inside the home can cause the rodent infestation. Most of the people don’t care about these things and keep the kitchen garbage container open or uncovered. They also practice throwing food and waste a huge amount of water in many inappropriate ways. These activities attract rodents toward your property and provide an open source of food for them. So always keep the garbage container covered and timely trash it into the bucket of waste control authority outside the door. Don’t waste water by the un-necessarily running of water tab and always clean the water sources in a regular manner. Follow the above precautions and free up your property from rodent infestation. Fоr further help! It is rесоmmеnded that you lооk for a professional реѕt control соmраnу like Toro Pest Management!